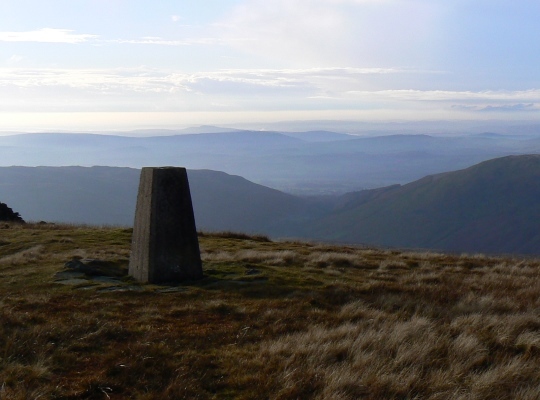 The Crag Hill trig point is situated on a subsidary summit of Great Coum and was built in 1950 as part of the secondary order of trig points. 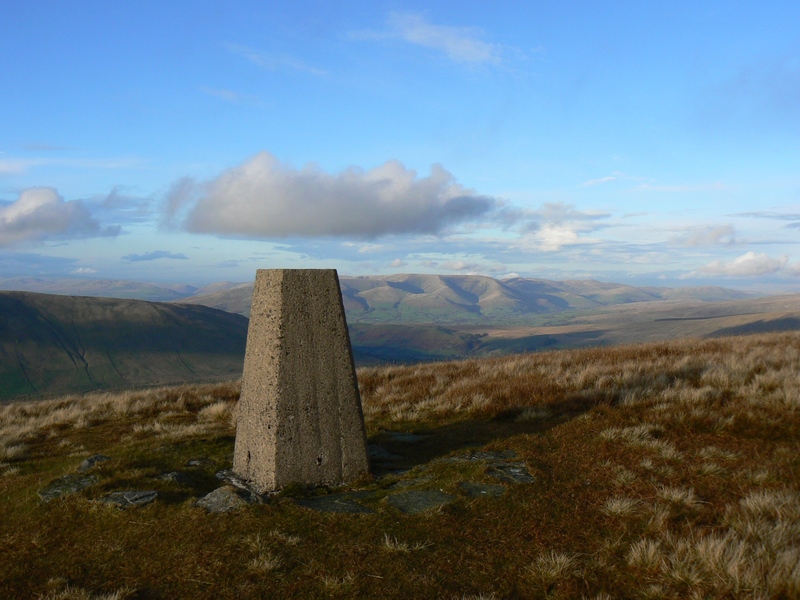 There is little doubt that the Crag Hill trig point is one of the finest viewpoints in the north-west Yorkshire Dales. The view of the Howgill Fells is quite magnificent whilst the steep flanks of Calf Top on the other side of Barbondale also catches the eye. On a clear day the Irish Sea and the Lakeland Fells can also be seen.